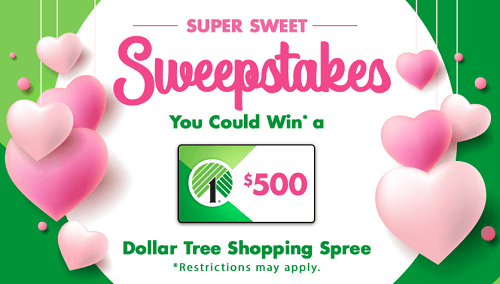 Enter for your chance to win the Dollar Tree Super Sweet Sweepstakes! Ends February 15, 2019. Good Luck!